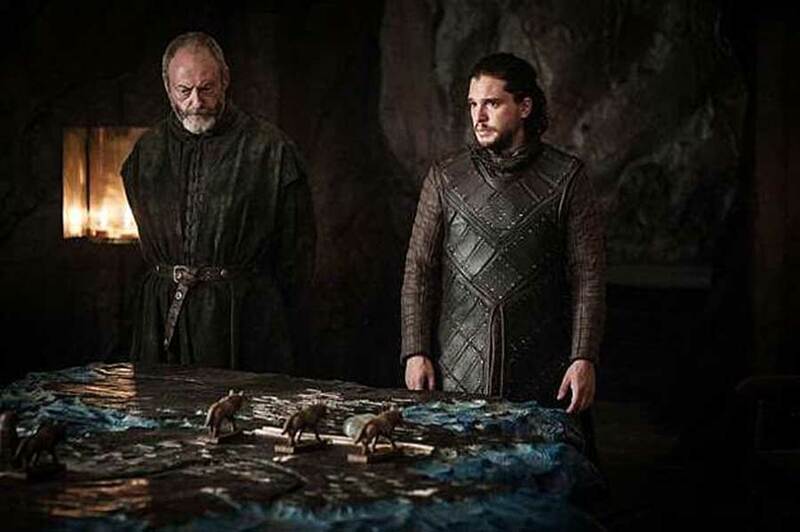 We should have been paying more attention to Dany's giant map table on "Game of Thrones"
Game of Thrones is one of those shows where no matter how closely we watch, there are always a few intricate details we somehow miss. From the Stark banner reclaiming Winterfell in the Season 7 opening credits to major clues dropped within the dialogue, it never ceases to amaze us how thorough and detail-oriented the GoT crew are. Game of Thrones Season 7 saw Daenerys Targaryen return to Westeros to reclaim the Iron Throne and many scenes have taken place in her war room. But we haven’t been paying close enough attention to the war room table — until now. Much of Season 7 has revolved around the growing war between Dany and Cersei, with Jon attempting to convince anyone who will listen — aka Dany — that the war to the north is more important than the quest for the Iron Throne. We didn’t notice this at the time, but thanks to a eagle-eyed Redditor, it seems Dany’s war map table shifted alongside Jon’s support for the north. As Redditor Ibnicefire points out, back in the second episode of the season, before Jon and Dany meet, the Mother of Dragons and Lady Olenna Tyrell sit at the war table and talk strategy. At this point in the series, Jon is *literally* a lone wolf fighting against the White Walkers and you can see this on the map. While their first meeting isn’t a resounding success for Jon’s case, he and Dany begin to get to know each other, developing an odd friendship of sorts. By Episode 5, as Dany’s allies — Olenna Tyrell, Sand Snakes, and the Greyjoys — are swiftly defeated, Jon and Davos become an extended part of Dany’s council and it’s easy to see the tide is turning. It’s even hidden on the map. 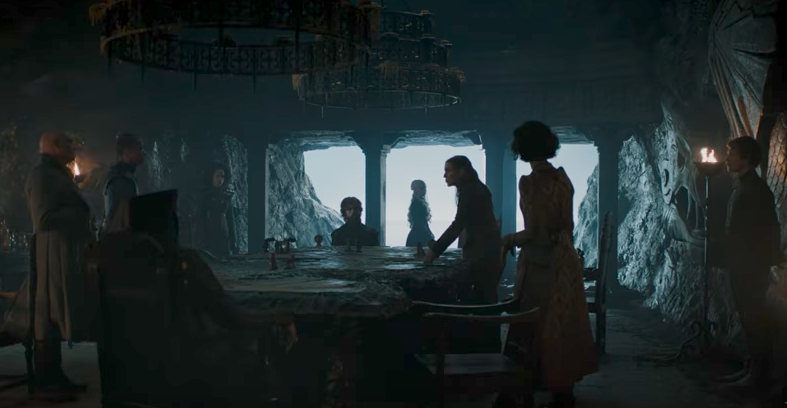 As Ibnicefire notes, there are direwolves at Winterfell, Eastwatch, Castle Black, and The Shadow Tower, implying that the north is more prepared for battle than during Episode 2. At this point in the series, Jon is heading back north with Jorah (joining him as Dany’s representative), the Brotherhood without Banners have arrived at Eastwatch-by-the-sea, and Winterfell is being prepared soundly by Sansa. Unfortunately, we haven’t found any sneaky war-map clues as to how the Game of Thrones’ finale meeting in King’s Landing will go. But there’s one thing we do know, and it’s that “The Dragon and The Wolf” is going to be intense.